← Mental Health Week – judge not as it doesn’t make you the better person, it makes you the one with the problem. And that’s a wrap – virtual book tour for Isis, Vampires and Ghosts – Oh My! now over. So! 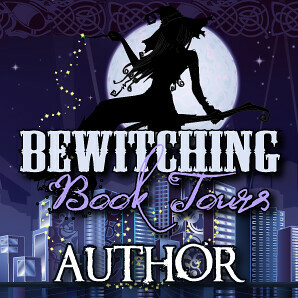 Yes, I did a virtual book tour during September with the fantastic Bewitching Book Tours. If you’re a writer of Urban Fantasy and the Supernatural I highly recommend you contact Roxanne and arrange a book tour for your own work. She is friendly, helpful (answered all my dumb questions) and communicated really well as to what was happening, when it was to happen and so on and so forth. And being a stickler for customer service (having done it myself for so long) communicating well with your clients is an absolute must. Roxanne passed with flying colours. The sites that she arranged as tour stops were all excellent, well run and fun to visit sites. I actually picked up a few interesting books for my TBR (To Be Read) pile from checking out other authors on tour. They ran my Spotlights, interviews and guest blog posts on time and presented them well (no glaring colours or distracting flickering pics, etc). I even made a few friends along the way while literally doubling my followers on my Facebook Author page and now having more followers than followees on Twitter! Now, I’m not saying that all book tours will be as awesome as Roxanne’s and her Bewitching Book Tours, so shop around before you jump on in. Check out what other people have to say about the sites, see what traffic or followers they have. Ensure your book suits their genre (yes, blogs can have genre too you know) and just have fun. But you know what? I had five eBooks to give away, along with an autographed promo card of the book. Just five. And how many people entered the competition to win one of them? Over fourteen hundred! For a Nigel no name… that’s a pretty awesome feeling you know. The online community of new Authors you meet and learn from during the tour is amazing. They share your work, help you shake your assets and all for nothing. Well, not exactly nothing… without asking you, their good will simply encourages you to do the same for them. Share their work, give them shout outs and so on. Well, it encourages the good Authors out there. Hint hint to some of you! Okay, so I did the book tour, I had an awesome time while literally sitting on my couch through-out it all. I met some fantastic people, made from wonderful friends and even got a slightly bigger fan base than what I started out with. Heck, pretty sure I even made some sales, of all the amazing things that can happen on tour! Besides thanking the lovely Roxanne and her Bewitching Book Tours for the fun time, I really want to thank Hague Publishing for arranging it, paying for it and helping me shake my assets and learn more about the wonderful worlds of being an Author. If you’re interested to see what I did, where I went and how each stop played out… head on over to Hague Publishing’s blog post about it all. That’s it for now. A short post for today… but I do have another post brewing so it won’t be too long before you get my next one. It’s going to be about Author’s needing to toughen up a bit and realise that reviewers are just trying to help with their open and honest reviews. Constructive criticism helps Authors write better books… you don’t like the review, have a quiet tanty and move on. Don’t go all cyberbully on the reviewers. Grow up!